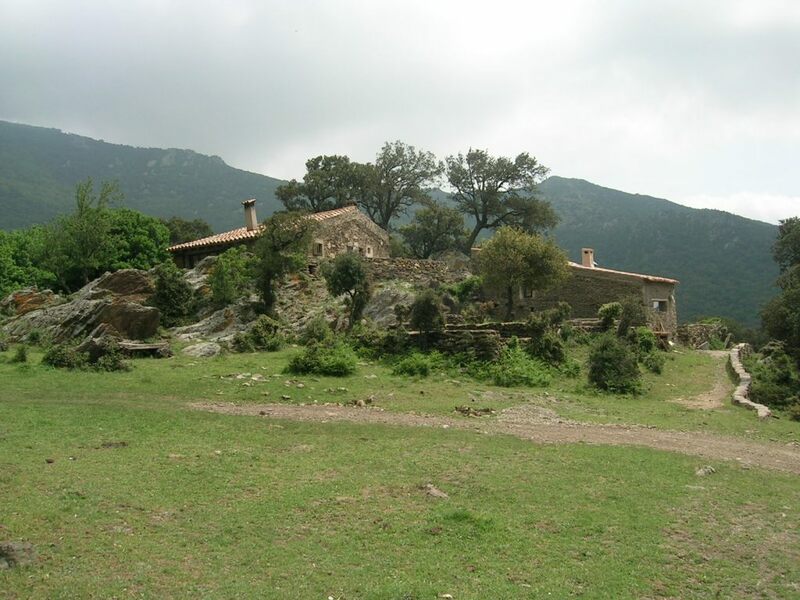 property description: Located in the middle of the Alberes mountains (natural park of l’Albera), it is perfect for contact with nature. Ideal for bird and wild life watching, good walking paths, many megalithic monuments in the surroundings, two old churches from IX, and natural pools in the river (100 m apart) are some of the many things you can do. We have a barbeque, a terrace, good mountain views, nice forests and many spaces to lay and relax near the house. An autochthon cow race is free in the property, living as a wild animal (Alberes race). Some studies are underway to help to protect this species from extinction. Other animals on the farm: chickens, ducks, pigs, …etc. The cottage is rented as a whole. 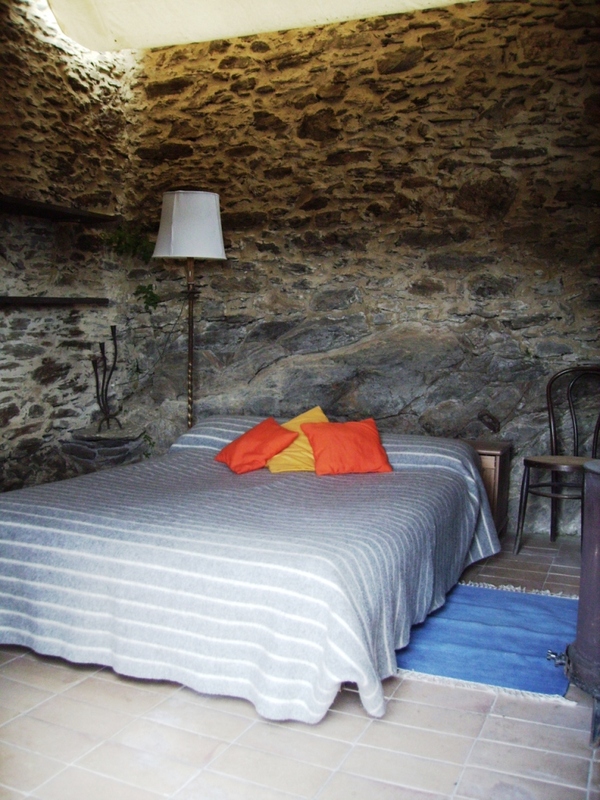 It has one double room, and another space for three people (three beds- see photos). The kitchen is well stocked but breakfast and dinner can be provided if you wish. Linen and towels are provided if resting for more than 2 days. We aim to provide a flexible personalised service and we are happy to respond to individual needs. If you have pets, please contact us first. Walking: A beautiful countryside with several possibilities for all kinds of walkers is just outside the house. We can point you in the direction of many different paths with varying degrees of difficulty, and we would be happy to act as your walk guide if you would like us to. Wildlife: The Natural area of Les Alberes mountains is a haven for wildlife of many species. Swimming: Little natural pools in both rivers (one besides the house; the other in the other valley about 30 minutes walk away) are very nice. Walking along both rivers is wonderful. Mountain biking and running: The numerous tracks and absence of traffic provide the ultimate thrill for serious mountain bikers or walkers as well as for beginners. Cooking – Some organic products are available from the farm. The nearest airports are in Girona or in Perpignan (France), one and half hours away. In Figueres (Girona) there is a railway station, one hour away. The nearest beach is at 40 min, in Banyuls sur Mer, a little village in the Cotte Vermelle (France) in which you can find shops, restaurants, supermarkets, concerts and other tourist activities during summer. The village of Espolla is at 10 km away in Spain where there are some little food shops. The Mas de la Llosa is only accessible by a 4x4 car. If necessary, the owners can pick you up where the good road ends and you could leave your car there in a secure place. For booking we ask for a deposit of 50%. In the case of cancellation last week before dates booked, this is non-refundable and non-transferable (50% if 2 weeks before dates booked). Minimum stay is two nights. We do not accept VISA or any other card.